Dr. Culig and Dr. Wireman share a passion for scientific, evidence based chiropractic care. Pierce Chiropractic Center patient’s know the benefits of this care and below a few share their stories. If you’re ready to start care or get more information, please call our Midtown Atlanta chiropractic care center to find out more! I was very pleased with my appointment with Dr Wireman. There was no wait time. He is extremely professional, knowledgeable, and takes the time to explain everything to you. Where to go when you want the best! I am super excited to have connected with Pierce Chiro Center after being under the care of another upper cervical practitioner for many years! Pierce is the top of the line with innovations that enhance the analysis and healing. I can’t wait until other family members try their services. Holding my adjustment after over a month of long days and hard work. Thanks Dr. Culig! Pierce Chiropractic Center is by far the most technologically advanced chiropractic office I’ve ever seen. Dr. Randy and Dr. Sam are masters of their craft, but more importantly they are great guys. I highly recommend Pierce Chiropractic Center, you will not be disappointed! Look forward to excellent results. This is a unique Chiropractic experience. Looking forward to my treatment. Very professional which is reassuring! I would recommend his care because he is a fantastic doctor and a fantastic person. He quickly became a friend and a mentor that I will keep until the end of my days. I am excited about the improvements that I am experiencing! I’m more than impressed with this practice! The doctors are approachable and understandable. They share their knowledge in a way that allows patients to fully understand all that encompasses their care, from walking patients through x-rays and every step of the adjustments. They take every measure to ensure safety and precision. I highly recommend stopping in to hear what they can do for you, as they break pattern with what most understand about chiropractic care. I’m so happy to have found a practice I can trust! I was very appreciative that I could be seen very soon after I called. Randy was very thorough in his exam and did a great job of explaining his diagnosis. He made room in his schedule for follow ups and stayed well beyond normal office hours to treat me. He also followed up with a rehab app so I could begin exercising to strengthen my core muscles. Finally, he researched and found a chiropractor in my area (I was visiting Atlanta for a short time) that would offer compatible treatment. Outstanding care! Great experience. I felt that all of my concerns were taken into consideration and my exam was very detailed, focused and I felt that you took your time and made sure your x-rays were done perfect!!!! Thanks you for being so caring to your patients. I had constant severe neck pain for almost 4 years and had visited multiple providers of all types. I was referred to Pierce Chiropractic and was surprised to experience significant pain relief during the second week of treatment. Now, after just 4 weeks of treatment, I feel less pain after each visit and some days are pain free. Dr. Culig is extremely knowledgeable and has the latest, most advanced technological equipment. The office visit is always a pleasant experience with Sydney there to help. I work with Dr. Culig and can tell he cares about my well-being. He is always able to answer any questions I have and always makes himself available when I need him. I have been in for less than 5 sessions/adjustments and can tell my back pain has reduced! Dr. Randy Culig is the epitome of a professional and his in-depth knowledge in the area of cervical spine work is impressive. Pierce Chiropractic takes x-rays (not all chiropractors do) and are very thorough. I can highly recommend this business! Excellent staff, knowledgeable and caring doctors that take the time to listen to you and find the right treatment. I love the “resting room”, a great retreat after treatment. Before coming in to work with Dr. Randy, I always assumed that my neck, upper back, and shoulders would remain tight, stiff and sore. After all, that is where I stored all my stress! With just a few treatments on my atlas bone, I now have experienced relief and realize that I do not have to live with a tight neck and back. Dr. Randy is great to work with and seems genuinely to care about his patients; wanting to get them well and out the door as soon as possible. Rather than keeping them around for financial considerations. I sought out chiropractic care immediately after a sports injury and was referred to Dr. Culig by a close friend. After getting a full evaluation from Dr. Culig, he showed me exactly where the problem was! He delivered one adjustment to my neck without any twisting or popping! Immediately I’ve felt better than I ever had! Not only did the discomfort that I had in my neck go away, but I also noticed my whole general health had improved including my digestion! I was thoroughly impressed with how much better Dr. Culig was able to get me and in such a short time. 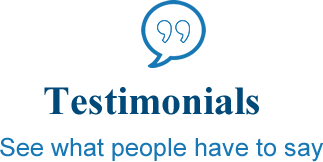 One very notable quality that I experienced from Dr. Culig is that he truly cares about his patients. He gives off the vibe that he truly wants what is best for the patient no matter what it takes!